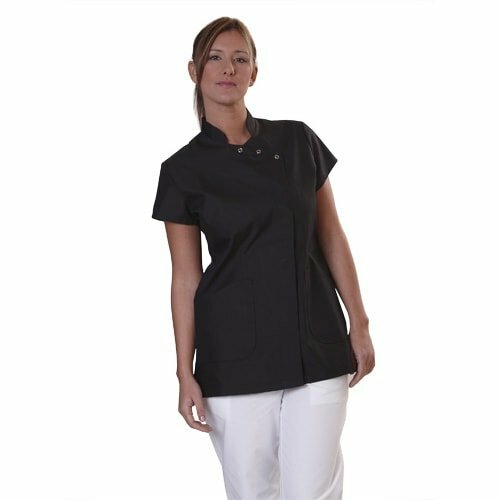 Ladies scrub tunic «Asia-Look» by HIZA in trendy Asian design closable by an asymmetrical button placket. The scrub tunic has a modern cup-shaped colour and a figure-hugging cut. 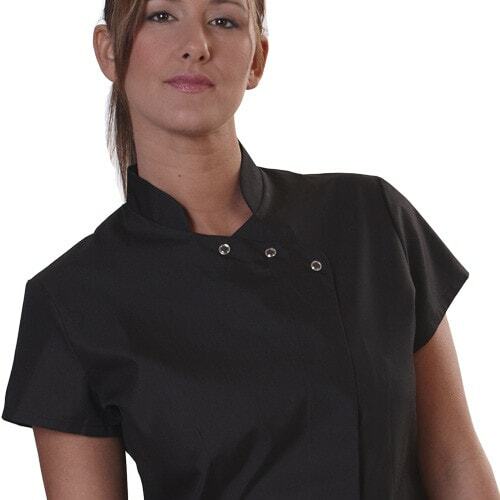 Ladies scrub tunic «Asia-Look» is optionally available in white, black or pink.